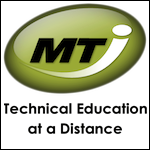 Technical Education at a Distance (TED) received a $2,533,052 Round Two TAACCCT award to create a unique mentor-supported, hands-on, hybrid distance learning model to support TAA-eligible and low-skilled workers in South Dakota. The GST program component was added in order to enhance the skill set of current MTI students as well as professionals working fields which utilize geospatial technologies. MTI developed a Virtual Classroom that could be used asynchronously to share instruction to include speech pathology scenarios and other instructional materials. The TED model is an important resource for addressing the needs of rural America and its application to other technical fields and settings warrants further research and funding. From technology tools to curriculum simulations to support systems, the TED project’s “recipe” for student success continues to be an important design element for other online programs. Earned credentials 189 credentials in the fields of Speech-Language Pathology Assistant or Geospatial Technologies. Some students earned more than one certification, including the National Career Readiness Certificate (NCRC) and ParaPro certification from the Educational Testing Service (ETS).